Il Grande Disco (also known as The Grand Disc) is a round coin-shaped piece of art that sits at Bank of America Plaza in Uptown Charlotte. The piece is a large, bronze wheel with dark edges and designs etched throughout both sides. The piece has a futuristic, foreign feel and almost seems to be ripping apart at its seams. This piece was created specifically for the space by Italian sculptor Arnaldo Pomodoro, Il Grande Disco and was installed in 1974. There are five more “Il Grande Disco” sculptures throughout the world, all with similar design and all installed in around the same time frame. 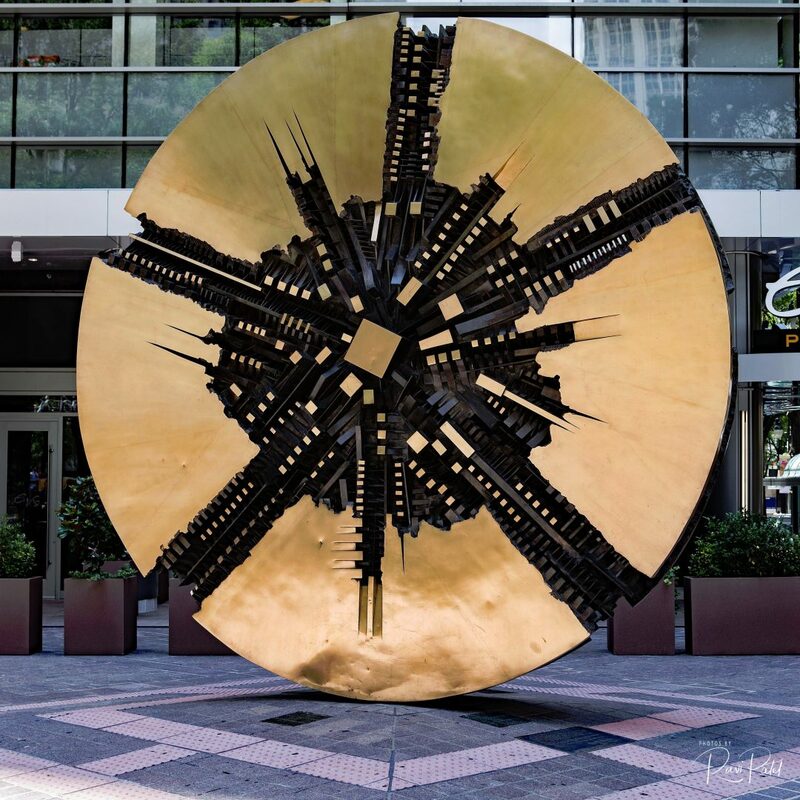 This entry was posted in art, North Carolina, Photography and tagged Arnaldo Pomodoro, art, bronze, Charlotte, disc, sculptor, wheel. Bookmark the permalink. I like this! Really cool!